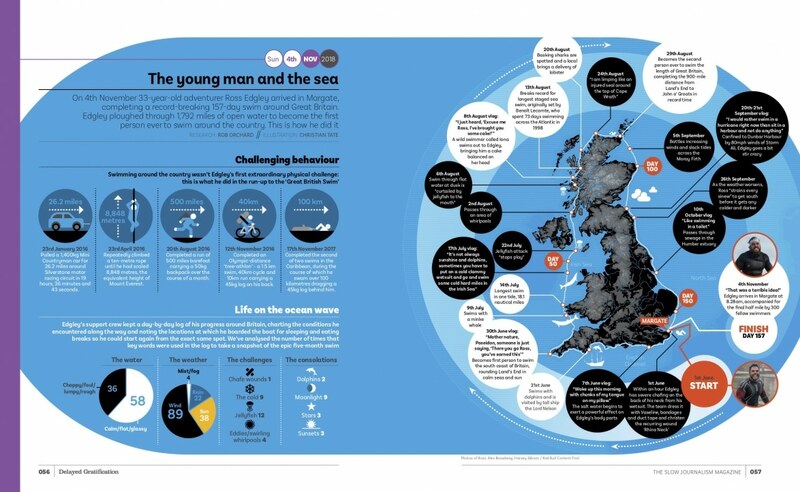 Infographic: How Ross Edgley swam around Britain from Delayed Gratification, the Slow Journalism magazine. This infographic was published in DG#33. Pick up a copy in our online shop or take out an annual subscription using the promotion code ‘SLOWNEWSDAY’ for 10 percent off.